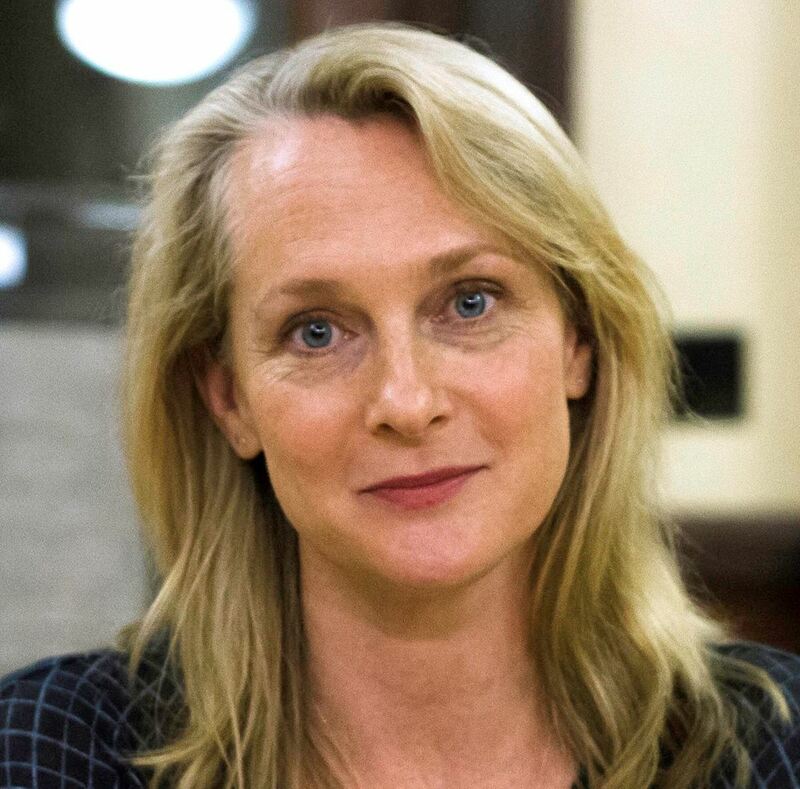 Memoirist Piper Kerman, spending a year incarcerated in a minimum security women’s prison, recounts one day of frolic, beginning with exuberance, but ending in anguish. One day each year, this prison allows children to visit their mothers. Various games and amusements are planned and set up; Ms. Kerman took charge of a face-painting booth. Still, a subtle sadness shadows the fun. Both mothers and children strive not to view each passing hour as one hour less they will be allowed to remain with each other. Given their effervescence, children sometimes find this easier to put out of their minds than do their mothers. Still, however much they succeed in forgetting, at the designated time, they have no choice but to have their last hugs, tears and good-byes. Both mothers and children know they will not be permitted to see one another again until the next visiting day, when normal restrictions will be once again in full force. During the evening after this day, respect for their pain is acknowledged by allowing these women to remain in their cells, with their dinners brought to them. There is no doubt male prisoners pine to see their offspring when “doing time”. In addition to day-to-day domesticity, with all its bright triumphs and petty squabbles, they are often forced to miss such significant moments as graduations and weddings. Still, there is a profound depth of poignancy in the forced separation of mothers from children. Nature’s hormones ensure a wellspring of love, starting when a newborn is brought from the womb, with the power to weather the spectrum from having to change a diaper at lunchtime, to being roused from sleep at 3 A.M., while expected to be at work at 9 in the morning. The grip of this devotion can backfire in prison in that the ache to nurture, unsatisfied, can become as painful as milk which hardens within the breasts of some female animals, when their young have died or been taken from them. Compelled to be locked back in their cells after such a day of happiness, these human mothers’ agony remains unabated until it begins to fade, due to the survival processes of the body and brain, and the understanding of fellow inmates. In early times prisons were not considered a form of punishment, but more of a place were criminals were held before trial or before the punishments sentenced by the courts were administered. In fact many of the punishments such as branding and whipping were carried out in the courthouse on the day of sentence. Sentences that included a time period might be the prisoner being held in the stocks or pillory. Serious crimes which included petty theft often resulted in penalty of death by burning or hanging. During the 16th and 17th and into the 18th century there were in existence "Houses of Correction" that were managed by religious orders or local business. These places were used as an additional punishment for petty criminals and or a place were down-and-outs, tramps, and beggars would be forced into hard labor. It was perceived that a few years of hard work and religious instruction would turn these miscreants into good honest members of society. Another form of punishment during the 17th and into the 18th century was that of transportation. The sentence was normally for a period of seven years hard labor in the colonies, usually America or Australia. However the number of convicts continued to increase along with the cost of transporting them to and from these faraway places. The added administration of prisoner’s property and their repatriation upon return was proving cumbersome. This brought about a revival of the prison becoming a favored form of punishment providing it included meaningful correction of the criminal, turning them into good citizens. In truth, those who were strong were forced into heavy work projects and those who lacked the strength were sent to work in the “House of Correction”. Either way, the prisoner was subjected to penal servitude, and the concept of meaningful correction was in fact the administering of harsh punishments, blatant cruelty and foul conditions. The management of large numbers of prisoners being forced into what in reality was slavery was becoming a national embarrassment. Hence, in the early 18th century there was an accelerated building program of new prisons. This program brought about the practice of separating men from women in separate blocks within the prisons, but the conditions remained horrendous and even more so for women who were still being abused by male convicts and jailers. 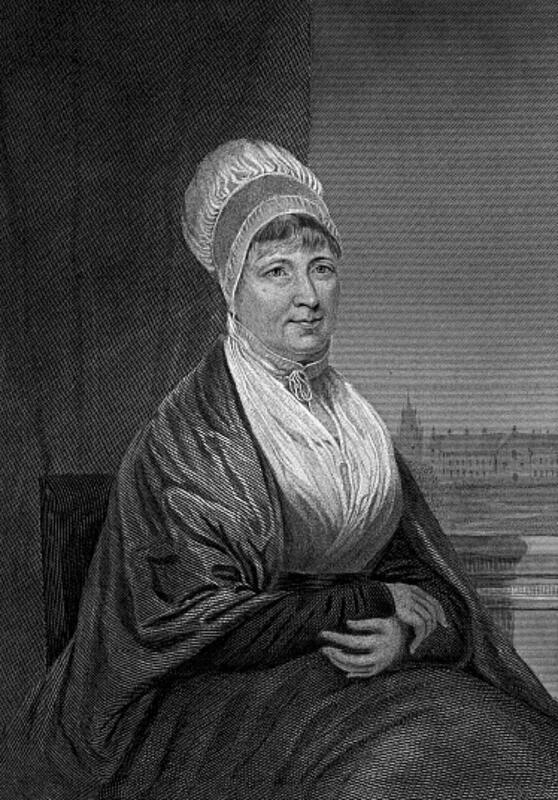 Elizabeth Fry was a Quaker philanthropist who campaigned for prison reform. She described a visit to a women’s prison block in 1813 as shocking. 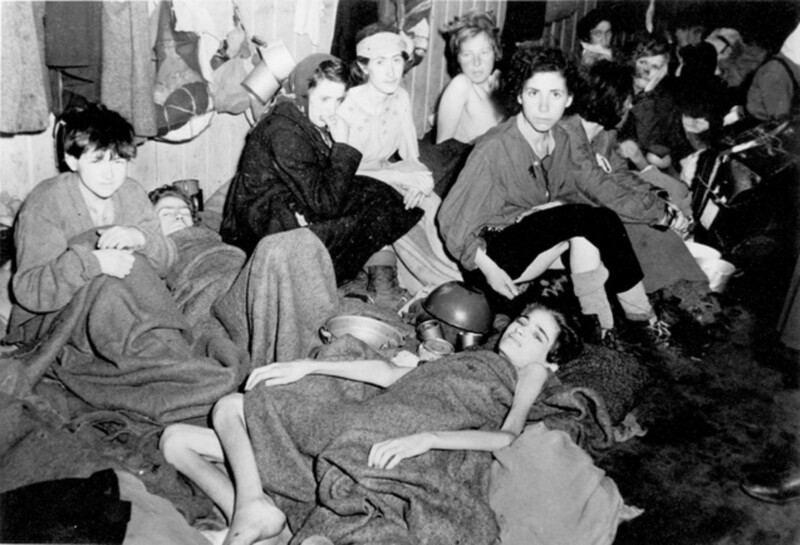 Some 300 hundred women, many with children were crowded into three rooms. There was straw bedding, but for many there was none. Many were sick and suffering from the freezing winter conditions, and there was fighting for the clothing of the dead. Elizabeth Fry along with other Quakers worked with the prison staff to bring about changes. Women prisoners were taught homely skills and to work together in making salable goods and encouraged to school their children. There were also daily bible classes. Her work influenced future prison reform and in 1823 parliament passed an Act which required that men and women prisoners must be separated and female jailers would be employed to oversee the women and children. 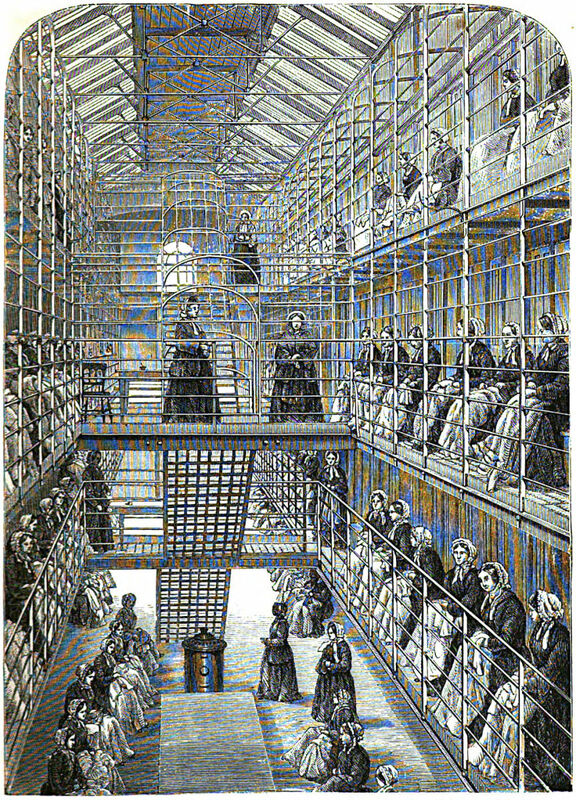 It was not until 1902 that the first all women prison was designated, this was the new City of London Prison now known as Holloway. In America the first prison for only women opened in Indiana in 1873. I lift a latch and my thoughts go free. 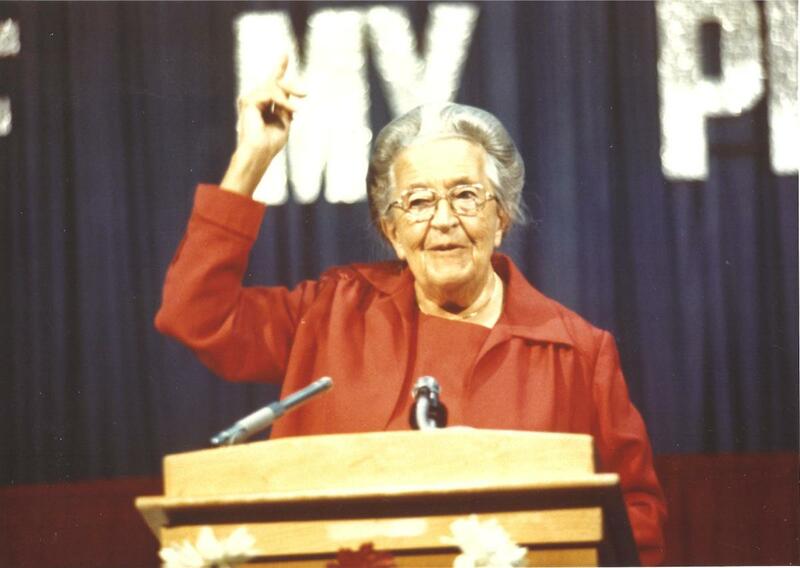 Corrie Ten Boom was born in April 1892 and died April 1983. She was a devout Christian and during the Second World War she and her family assisted Jews in escaping the Nazi Holocaust. Corrie and her sister Betsie were imprisoned in the Ravensbrück Nazi concentration camp were Betsie died in 1944 aged 59. Ideally, the sisterhood of compassion between two women on opposite sides of the prison system would create a deepened compassion. While this concern might develop at times, it was and is, by no means the norm. Arguably, the most unjust imprisonment is based on political views, and/or governmental contingencies. Perhaps the ultimate illustration of this occurred in the WWII Nazi holocaust. In her memoir, “The Hiding Place”, Ravensbrück concentration camp survivor Corrie Ten Boom recounts that if forced to plead for a scrap of compassion, a male guard was more likely to provide it than was a female. 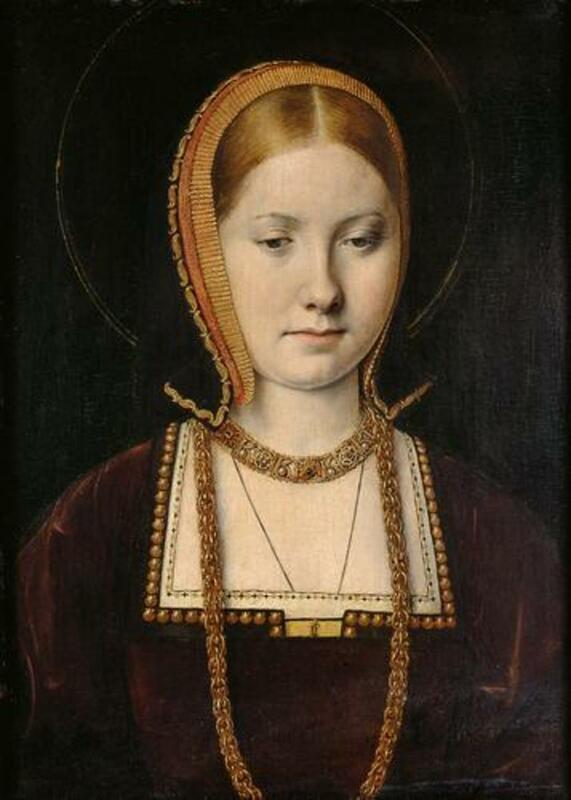 Corrie’s sister Betsie, arrested and confined with her, proved less able than Corrie to withstand the intensive labor combined with the meager portions of frequently inedible food. One afternoon, a female guard mocked Betsie’s swaying gait and ungainly movements. With a resigned half-smile, Betsei said, “Yes, that’s me alright.” Chagrined and enraged by Betsie’s dignity, the guard knocked her to the ground and then began beating her. Shortly thereafter, Betsie died in the camp, perhaps due to this final onslaught on her already frail body. Still, Corrie made this death a triumph by preserving the memory of such quiet grace in response to this needless cruelty by one woman towards another. Anne Frank’s diary began soon after her thirteenth birthday in mid June 1942 shortly before her family felt compelled to go into hiding in order to evade Nazi persecution, and continues until 1st August 1944, three days before their arrest by police and the SS. Her written thoughts have become one of the pivotal documentations of the day-to-day life which, fun and enjoyable at times, was shadowed by the ceaseless threat of being discovered and killed. Countless pubescent girls, like myself, have found a friend through the pages of Anne Frank’s diary. Much of this affinity springs from her being so unabashedly human. At times, she writes of being rebellious at school, and admits to fascination with the lives of film stars. Once in hiding confined to “the secret annex”, she voices annoyance at their meddlesome neighbor, her urge “to give Mummy a good shaking”, and the bittersweet joy of falling in love with a young man, also in hiding, who seems at first to have preferred her older sister, due to her being prettier and appearing brighter. 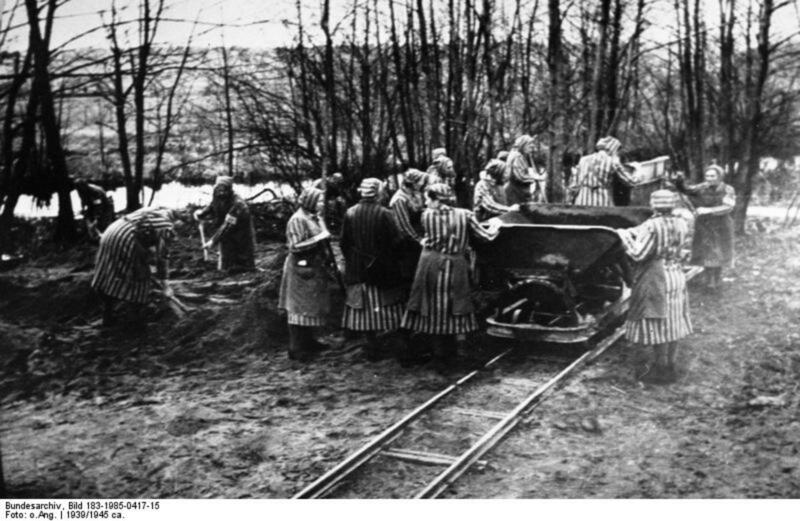 Following her arrest she was moved to a number of prison camps before finally being sent to the women's section at the Bergen-Belsen Nazi concentration camp. Once there, she soon found herself in danger of death caused by starvation. Hannah Goslar a former classmate of Anne, was aghast at seeing her, bald and emaciated, through a fence dividing sections of the camp. Hannah was held in a part of the camp reserved for privileged prisoners. Made frantic by her nearness to death, Anne pleaded with Hannah to bring whatever food and clothing she could scavenge, and then pass it to her through a small opening in the fence. Hence, Hannah brought a small package to Anne at the agreed-upon time. Seconds after Anne grasped this package another woman leapt out and grappled it from her hands. Anne pursued this thief with the force of any animal whose existence has come to rely on a few crumbs and morsels. Anne Frank died during an outbreak of typhoid fever which became rampant in the prison camp. Even her youthful immune system, once weakened by hunger and thirst, succumbed to this illness. As readers, it is tempting to detest the woman who might have weakened Anne Frank's fragile hold on survival. Still, objectively viewed, this woman’s need and right to survive was equal to that of Anne Frank, and any fellow sufferer. The tragedy lies in the reduction of human life to a jungle-like struggle for basic subsistence. 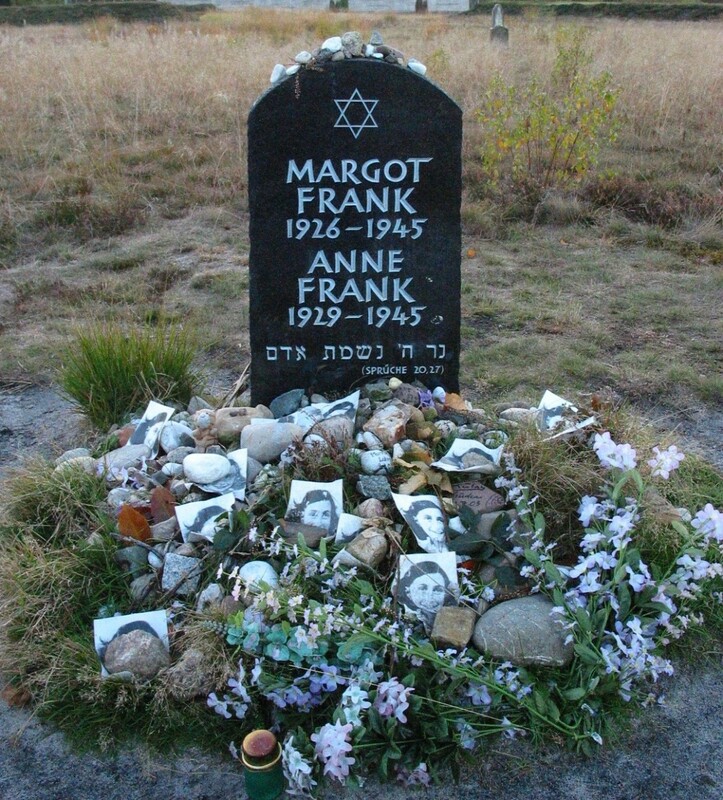 Between 1941 and 1945 approximately 70,000 prisoners died at Bergen-Belsen concentration camp. Liberated on April 15, 1945 there remained 60,000 prisoners many starved and sick, plus a further 13,000 dead bodies. The above-mentioned Piper Kerman, having graduated from college during the early 1990s, went to stay with a friend who enjoyed a free-wheeling lifestyle. Shortly after arriving, Piper began to notice sudden influxes of large amounts of cash, and the need to bank it with haste. In addition, different people were needed to make these deposits. Eventually, she was asked to become one of these emissaries. Although suspecting illegal activities, Piper agreed to what she tried to justify as errands to help the friend in whose home she was staying. Eventually, as this life lost its allure and she felt forced to see the ominous implications of her involvement, she returned to the area where she had friends and fellow graduates who could help her find legitimate work. In time, she became engaged to a stable, devoted young man named Larry. Having found both employment and love, it seemed safe for her to believe she had erased her previous errors. Her fiancée, knowing of these mistakes, agreed. Then, years later, she was contacted by the police and told she had been informed upon by her former comrades. Placed under no physical restraint, Piper and Larry could easily have fled America. Yet, to do so would mean they would need to spend their married life in fear of police pursuit. What sort of life would that create for them, their closest family members, and the children they hoped to raise without fear of a shadow? Thus, in 2004, ten years after her crime, Piper, escorted by Larry, arrived at a minimum security women’s prison in Danbury Connecticut, where she was to serve out 13 months of her 15-month sentence. As Piper concedes, her most profound lesson came in the form of seeing the horrors that substances of various kinds had wrought upon the lives of so many inmates. Some stated their plans to seek their substance of choice as their first act after obtaining their freedom. Others had become so habituated to painkillers and sedatives as to spend their prison time in a marionette-like trance. Prison doctors were glad to prescribe whatever was needed, as a means of calming those who might have otherwise proved recalcitrant. As an upper-middle class graduate of a respected college, Piper had never envisaged the bleak underworld of women given over to substances as their sole form of refuge. These embodiments shamed and disgusted her at having been a component, however small, of such a demoniac circle. After her release, she and Larry were married, and have had children together. Her memoir ends with a sense of her developed and ongoing Compassion. To some degree, institutions where men and women are separated for extensive time periods are bound to result in physical need seizing control of any previous sense of morality. The consequential relationships can range from genuine passion and tender love to simple expedience. Florence "Florrie" Fisher, imprisoned for drug and moral offenses, stated this on public television on the highly respected program, "Open End" during a 1967 interview with the eminent host David Susskind. The cascade of letters sent in response to her candor led to her becoming a national speaker regarding the life-wrecking dangers of drugs. Ms. Fisher's memoir, The Lonely Trip Back, describes her intimacies with other women as a release for them both, rather than based upon deep and lasting affection. 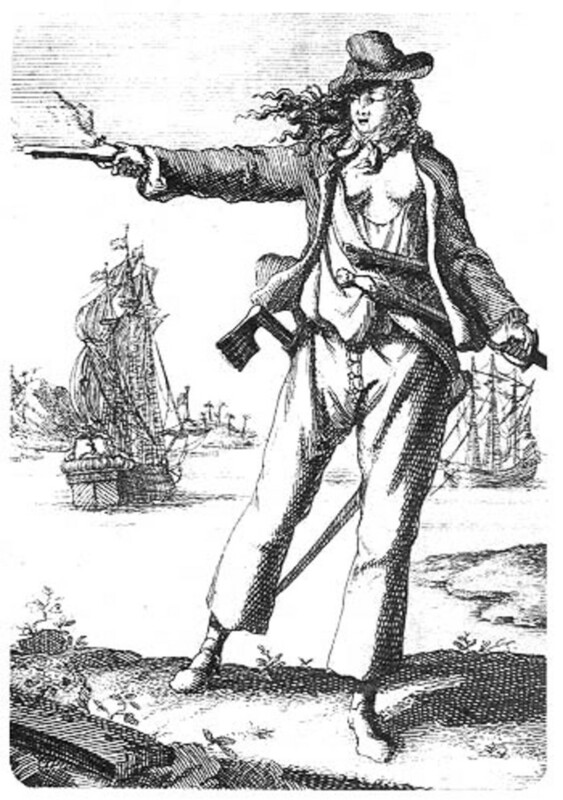 According to other accounts, women who were lesbians prior to their imprisonment, tend to seek a partner for a deep connection. These women avoid others with sentences significantly shorter than their own, afraid of the emotional emptiness when a partner leaves prison. Others, like Ms. Fisher, who seek only brief physical gratification, engage with those with similar goals. Naturally, young women are widely desired and preyed upon. In one prison, a girl in her early twenties was subjected to a beating every day, in order to force her to choose which of her fellow inmates would be her partner. This meant her selection must be drawn from her group of assailants and attackers. Once she had committed to one of them, fidelity on both sides was expected. Then, some while later, a falling-out ended this entanglement. Fortunately, the young woman’s sentence ended before a further series of beatings compelled her to choose a new source of affection. In a positive way, society has begun to implement those earlier century ideals which provided women with skills to give them a sense of validity. Education programs have been introduced, meant to enhance the likelihood of success in finding post-prison work in which they can enjoy a sense of achievement. One method is to encourage convicts to raise puppies to become guide dogs for sight impaired people. Reading books to be recorded is an equally valuable source of learning to understand the needs of those striving to overcome limitations. In addition, the internet has facilitated jobs such as making airline and other types of reservations by phone, then typing the details into a computer. Minimal as these payments might be, they represent worthwhile work-often the first legal employment such women have found. True, there will always be those who participate in such activities to alleviate boredom and gain points for parole hearings. Still, whatever their first motivations, can anyone share a cell with a puppy, gently readying it to learn helpful ways, without tapping into their own nurturing resources? Similarly, having earned a legitimate income, will women wish to return to shabby lives with abysmal futures? I believe a significant number, given the opportunity, can eventually be integrated back into society. If so, then WELCOME! Do you believe education and opportunities for learning proves beneficial to prisoners on a long term basis? Boom, Corrie Ten and Elizabeth & John Sherrill: The Hiding Place. Frank, Anne and Michael Marland: The Diary of Anne Frank. Gold, Alison Leslie: Hannah Goslar Remembers. Kerman, Piper: Orange Is the New Black: My Year in a Women's Prison. Thank you Jodah. I'm over the moon and fast forwarded my next poetry hub. I picked the HubPages notepad as my prize. Congratulations on the win Colleen. Well deserved. Ms Dora, thank you for your ongoing support and encouragement. Congratulations on winning the Most Informative Hub Award! More success going forward. Hi Rawspirit, I agree with you entirely and believe a rehabilitation system should be put in place. These woman need to learn skills and abilities rather than to be punished. Oh my goodness, My heart is breaking, there has to be a better way. I really believe there is such a small minority of women and men who should actually be imprisoned. 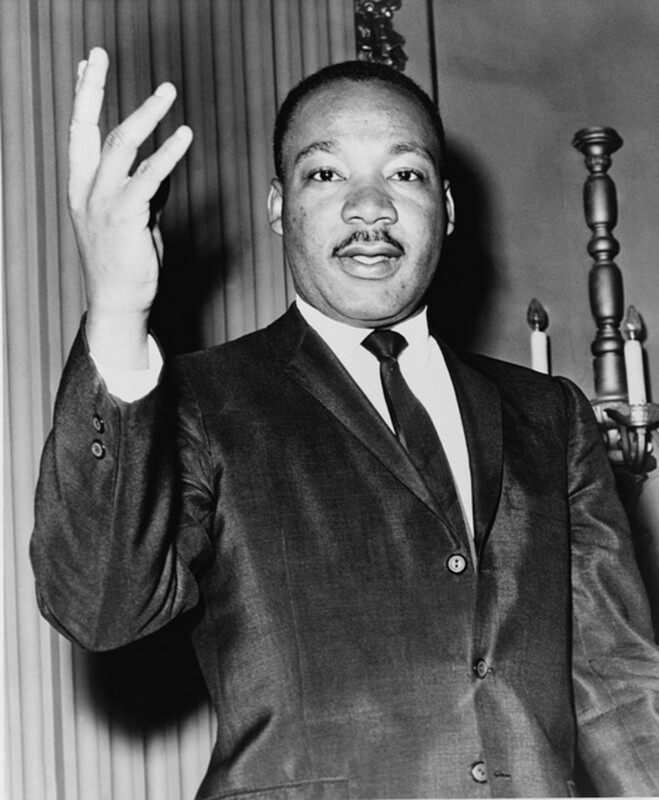 It's a black mark on our society. I believe in a 100 years from now the prison system will be looked back on as being as barbaric as slavery. Blessings to you Colleen. Colleen, what a intriguing hub this was on women in prison. It was a real good read. As for Piper, I do remember seeing her on the View last year, before I quit watching the TV show for good. I do watch Orange is the New Black on Netflix, too. Voted up! Dear Stella, thank you for your encouraging comment. I agree that many women in prison have committed crimes which justify their confinement. Ideally, prison helps people to understand their wrongdoing so that they may return to society with greater understanding. It is unfortunate that some tricksters slip through the net. Hello Bernard, I really appreciate your input. Convicts need encouragement to help rebuild the lack of self-esteem which develops in prison. Best of luck in your efforts in being pro-active rather than just philosophical. Hi Erorantes, I agree with you and believe women often come out of prison more troubled than when they entered, facing the same problems which brought them there. Hi Christy, I am enthralled by issues regarding injustice in any form, and will definitely read your article. I agree Colleen, it does become a downward spiral, I would like to see people working together, creating the job's, that lead to people climbing out, of that poverty trap. Locking people into poverty, set's them up to again break the law, creating employment and teaching them how, to enjoy their live's, improves their future. That's what I'm trying to change, people saving together, creating company's that allow other people to clime out of poverty. One hundred people saving ten dollars per week is a thousand dollars per week giving the group money to invest in creating wealth from there you can follow Robert Kiyosaki where he tells people ho to create wealth. did you know that playing monopoly teaches you how to become wealthy simply use my Idea to create your investment package invest in buying four house's and then uses your wealth to start a company putting you in the position to give people jobs and start them on the path to getting out of debt. Thank you for writing this article about life in prison for women . Many years ago life was probably terrible comparing to this present time. I like your article because it makes us aware of the physical mental illness and the motives they are in prison. Abuse women who is not reach on time to save her to go and receive proper care at the women abuse help organizations end up in prison or death. Counceling is important. It is better to stay away from problems.my prayers for those who are in prison. That was a very interesting and insightful article! Well done. Your skill definitely seems to shine through social justice issues such as this one. It was truly a great read. I have written an article about the oppression of aboriginal women- specifically in Canada. If you are interested, I wouldn't mind a talented writer like you to give me some feedback on my social justice article! Hi Bernard, to a large extent it becomes a downward spiral: poverty, drugs, prison, release, then back to poverty. Hi Lisa, I am so glad you found my article fruitful. I was a bit concerned that some readers might find it biased, but as you point out there are definite differences between coping mechanisms. I think this applies to day-to-day struggles as well. Terrific hub Colleen, I have a lot to learn, still have to get a camera up and running, to put picture's with my hub's, you're an inspiration on my path to learning, and I agree, it's hard, to be separated from family. In life people need to make money, earn wages to survive, creating job's leads to wages, it's a shame some people, turn to selling drugs, when there are so many better ways, to succeed. This is just wonderful. I have written many research papers on the effects of prison on individuals and there are substantial differences between the coping mechanisms of men and women. This was so very good and enjoyed reading it. Thank you for your uplifting words. I am always a little apprehensive about writing a Hub that courts strong opinion, but I hope and try to be level and factual for those that form opinions on such. Already working on my next Hub. Happy New Year to you. Interesting, historical, and factual yet you won't find this in your local school book. That's why I like it. Please continue to post regularly this is exactly what our community needs. Thank you Annart. I appreciate your comment on my writing style. Yes, it is controversial, that benefits and special treatments kick in for those that appear to least deserve them. I fear that these freebies may create better criminals rather than better citizens. We can but hope it doesn't. Fascinating hub, Colleen. You always write comprehensively with extensive research and it makes for wonderful hubs. Your style is clear and so easy to read. Fortunately, prisons are a little better these days, though we still have far to go, I think. My only worry is that those who misbehave get free education, whereas those who are law-abiding and poor get no such help. That doesn't seem fair. Hope you had a lovely Christmas and I wish you all the best for 2015. Hi Mary 615. I fully agree that rehab should be the primary focus with all addicts. Still, it might be fruitful in terms of self-esteem to learn other skills as well; one does not preclude the other. Thanks Sulabha. I am glad you found my information of use. Prison conditions in India must be equally painful. Hi MySuccess8. Once at an airport something metal I was wearing set off a detector. The resulting pat-down search was done with respect, but gave me an inkling of what it must be like to be stripped of all privacy. Thank you Poetry man; As you probably know, some wonderfully honest poetry has been written from prison cells. Hi Chef-de-Jour. Thank you for reading and commenting with such care and understanding. The best interests of the child need to be the primary focus. Unfortunately women who live in poverty are more likely to resort to crime in order to survive in an often hostile setting outside prison. Those with criminal records have difficulty finding work, which keeps them poor and vulnerable. Congrats on HOTD. A very famous woman comes to my mind as I read this Hub: Martha Stewart! She spent her time teaching other inmates useful crafts, etc. I do not think it is the right thing to do when women are sentenced to prison for using drugs. They should helped in rehab programs not put in prison, away from their children. You wrote a very interesting and informative Hub, and I voted UP, etc. and will share. Your article is very informative and has helped me to think about the plight of women prisoners beyond India. Besides that I am moved. Words are not enough. This is a well-researched shocking account of the reality of life of women in prisons during those periods, touching on isolation and distance from family and children, degrading and dangerous conditions, inhuman treatment, and the daily struggle for survival. Prison conditions should be safe and humane, that do not destroy the lives of these women and people. Congrats on Hub of the Day! An interesting and thought provoking read, taking us into the world of prisons and the effects of restriction on the female psyche. It must be harrowing for certain mothers once they're sentenced - not sure about mitigation here, or leniency, with mothers who break the law - I guess it depends on severity of crime and individual circumstances. And it's a thin line between rehabilitation time and treading water until next time - I wonder what the re-offending rates are for females, and the difference compared to men? And there's the ethnic question, and poverty, as always. I appreciate the research and the way you've separated the paragraphs - a complex subject - votes and a share. Thank you Allison, I am so happy you enjoyed my Hub. The books I read by way of research were definitely worthwhile; especially Piper Kerman's. I think the struggles of women in prison needs more compassion and study. This is a wonderful and skillfully written hub and on a topic I'm ashamed to say I never even really thought of, yet you seem to have such a wealth of knowledge. It's so eye-opening (and gives me some ideas for upcoming books to read). Oddly enough, it never occurred to me that some women in prison would, of course, have children and would need to see them. Your description of the evolution of prison itself and previous punishments is astounding--"Serious crimes which included petty theft often resulted in penalty of death by burning or hanging" (Yikes!). Thank you for such a great article and congrats on HOTD! Thank you Larry, It's good to hear you enjoyed this Hub before it was chosen. It certainly is a difficult and distressing topic. I had the opportunity to read this article before. A very deserving article for accolades. Great Job! Hi Graham, I am glad you enjoyed my hub. Some of my findings were painful but I think worthwhile. I read your profile; I too live in England, having come here from America to marry an Englishman. Hi Dipankar, I agree that there are various types of imprisonment. Brainwashing is a definite method. I think you have given me a superb idea for a new hub. Thank you Fire8storm. The prison system as it is seems to encourage crime rather than lessen it. Women learn from each other how to hone their criminal skills. I agree the system as it is, is definitely not working. Hi Colleen. I am so glad to have found your hub. So well researched and touching so many points. First Class. Very informative hub. Women imprisoned outside the prison system like Patricia Hearst and the Stockholm Syndrome could also be included perhaps? This is a wonderful Hub and so very well researched. The plight of women in prison is something I don't think is highlighted enough. The measures in place to support and work with those women for positive outcomes certainly needs some attention, as it does for all prisoners in my view. Providing new skills, learning and opportunity to change their lives for the better, for themselves and their children, is so very important. If this is not in place, if this is not available I do not see the overall benefit of imprisonment and how this can be sustained in the future. Thank you for writing and sharing this Hub! Hi Amalie, It makes me happy to know that someone finds my article informative. Something I knew very little about. Thank, I learned a lot! Thank you Jodah. I agree, when I read the history up to the modern day, it is the children that suffer. In the early days the children were put in prison with their mother. It's awful to think about it. Thanks for the vote up, and have a happy New Year. Thank you. Yes, I was a little worried about touching on this subject, glad you enjoyed reading it. Happy New Year. Wonderful hub Colleen. You covered the subject thoroughly and kept it interesting. It must be heartbreaking for incarcerated mothers to have to be separated from their children after being allowed to spend one day a year together. Voted up. What a great subject to write about. Thank you for the information Colleen. Thank you for your comments. As my article mentioned political imprisonment of any kind is completely unjust, as it is based on no crime. I also agree that men suffer from separation from families. There is a huge difference from the holocaust to being incarcerated for a crime. One I can have more then compassion for and the other is quite simple. If you did the crime then you get to do the time. Its also quite bias to think that men do not suffer from separation from their children. The current legal system favors women over men in any custody battle unless the woman is a criminal. It can be 3 to 12 months before the court system even determines visitation for a normal separation. Incarceration was meant to be hard on criminals and if you get life I bet it is really tough. That's why I favor the death penalty for killers because the victims families must really miss their loved ones and do not get to visit them in prison but at the cemetery. Hi DDE, Thank you for your good wishes; I hope we can chat more on the hub during 2015. It sounds a horrific experience for these women. A Happy New Year to you! Hi MsDora, It is always a joy to hear your responses. Yes, Corrie ten Boom had an amazing inner strength. I found her description of her sister's response to the guards cruelty especially moving. 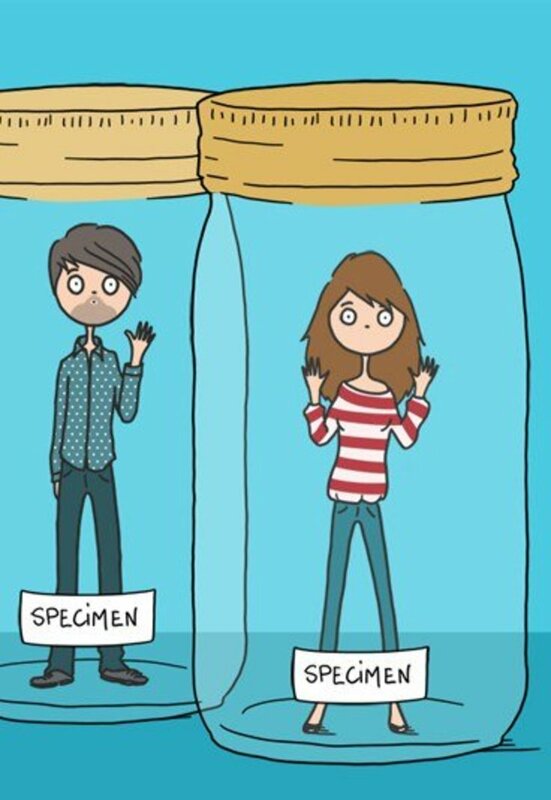 Pity the women who endure such horror. I've read Corrie ten Boom's unforgettable experiences; not many women possess her strength. Piper Kerman's story is also very interesting, and I'm glad she found a way to benefit other women. Thanks to all these compassionate women, and to you for bringing us their stories. Hi Eddy, Nice to hear from you again. I do enjoy writing the articles and hope they bring pleasure to others. I wish you a happy New Year and satisfying 2015. Very interesting and well researched. A great hub and thanks for sharing. Wishing you a great run up to the New year. Hi DJ, I always enjoy your comments on my articles. Yes, the return rate of prisoners does seem to indicate a hardness which develops. When I was in college, our debating team went to a prison to teach verbal skills. A friend of mine started to fall in love with what seemed to be a decent young man. Then when she had agreed to sponsor him he said he would go back to burglarizing, but be more careful this time. Fortunately that ended the romance. persons have changed for the better over the years. I think if numbers were made available, we would be shocked to find that many are repeat offenders. 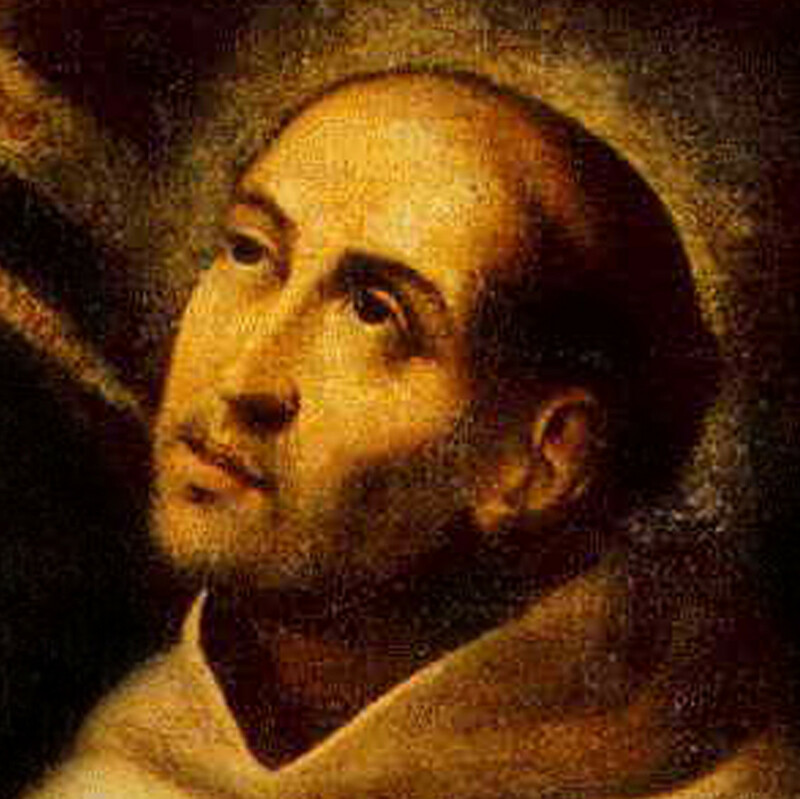 Whatever we have been doing, it does not seem to be enough. 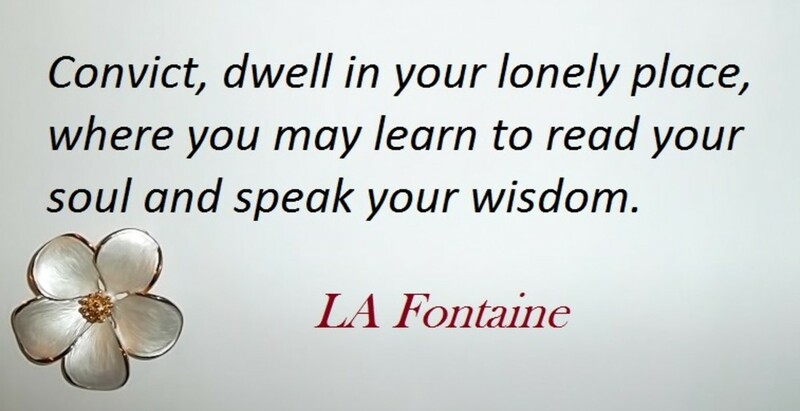 I have always felt that education and wisdom go hand in hand. You have showed me differently with the Piper Kerman story. Still, her deed was not a direct offence to another person. So sad to read of human's inhumane treatment of other humans. Hard to believe that we have come so little distance from hundred of years in the past. If changes are not made soon, how horrible to imagine what could be ahead for mankind.